Research shows that most people complain once a minute during a typical conversation. Complaining is tempting because it feels good, but like many other things that are enjoyable--such as smoking or eating a pound of bacon for breakfast--complaining isn't good for you. Your brain loves efficiency and doesn't like to work any harder than it has to. 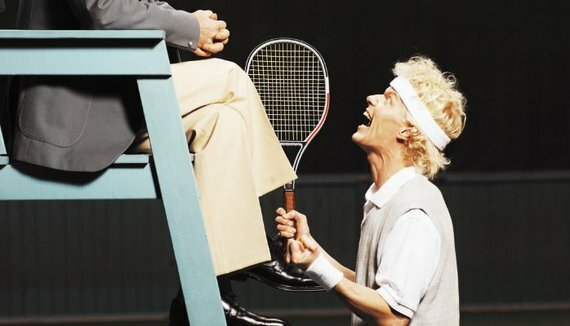 When you repeat a behavior, such as complaining, your neurons branch out to each other to ease the flow of information. This makes it much easier to repeat that behavior in the future--so easy, in fact, that you might not even realize you're doing it. You can't blame your brain. Who'd want to build a temporary bridge every time you need to cross a river? It makes a lot more sense to construct a permanent bridge. So, your neurons grow closer together, and the connections between them become more permanent. Scientists like to describe this process as, "Neurons that fire together, wire together." Repeated complaining rewires your brain to make future complaining more likely. Over time, you find it's easier to be negative than to be positive, regardless of what's happening around you. Complaining becomes your default behavior, which changes how people perceive you. And here's the kicker: complaining damages other areas of your brain as well. Research from Stanford University has shown that complaining shrinks the hippocampus--an area of the brain that's critical to problem solving and intelligent thought. Damage to the hippocampus is scary, especially when you consider that it's one of the primary brain areas destroyed by Alzheimer's. While it's not an exaggeration to say that complaining leads to brain damage, it doesn't stop there. When you complain, your body releases the stress hormone cortisol. Cortisol shifts you into fight-or-flight mode, directing oxygen, blood, and energy away from everything but the systems that are essential to immediate survival. One effect of cortisol, for example, is to raise your blood pressure and blood sugar so that you'll be prepared to either escape or defend yourself. It's Not Just You . . . Since human beings are inherently social, our brains naturally and unconsciously mimic the moods of those around us, particularly people we spend a great deal of time with. This process is called neuronal mirroring, and it's the basis for our ability to feel empathy. The flip side, however, is that it makes complaining a lot like smoking--you don't have to do it yourself to suffer the ill effects. You need to be cautious about spending time with people who complain about everything. Complainers want people to join their pity party so that they can feel better about themselves. Think of it this way: If a person were smoking, would you sit there all afternoon inhaling the second-hand smoke? You'd distance yourself, and you should do the same with complainers. Start with something positive. It may seem counterintuitive to start a complaint with a compliment, but starting with a positive helps keep the other person from getting defensive. For example, before launching into a complaint about poor customer service, you could say something like, "I've been a customer for a very long time and have always been thrilled with your service ...."
How do you avoid complaining and stay positive? Please share your thoughts in the comments section below, as I learn just as much from you as you do from me.